Catherine B. 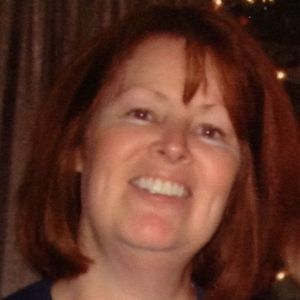 (Ronan) "Cathy" Moneypenny of Reading, formerly of Wakefield, passed away peacefully on Friday, October 13, 2017 at her home. She was 57 years of age. Born on January 12, 1960 in Melrose, Cathy is the loving daughter of the late Christopher Ronan and Rita (Fahey) Ronan. Cathy was a warm and caring daughter, sister, wife, mother, grandmother, aunt and friend. She will be deeply missed. Cathy grew up in Wakefield and was a proud graduate of Wakefield High School. She worked at 128 sales for over 25 years. Cathy loved vacationing and the islands. Family was most important to Cathy. Spending time with family and friends was first and foremost in her life. Cathy is the beloved wife of Michael R. Moneypenny. She is the devoted mother of Dylan Conn and his wife Jamie and Kerri Parks. The cherished grandmother of Christopher and Thomas Conn, Cathy is the dear sister of Thomas Ronan and his wife Janet, Christine "Tina" Ronan, Paul Ronan and his wife Elizabeth, Peter Ronan and Caroline "Carrie" Ronan. She is the loyal best friend of Diane Berzins and is also survived by many loving nieces and nephews. 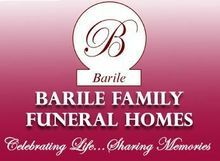 Family and friends are cordially invited to gather and share memories with the Family on Wednesday, October 18th from 4-8pm in the Doherty – Barile Family Funeral Home, 11 Linden St. READING. Parking attendants and ramped entrance are available. A Funeral Service Celebrating Cathy's Eternal Life will be held on Thursday, October 19th at 10am in the Unitarian Universalist Church of Reading, 239 Woburn St. Reading. Please go directly to church. In lieu of flowers, please consider making donations in Cathy's memory to Winchester Hospital Cancer Center, c/o Winchester Hospital Foundation, 41 Highland Ave. Winchester, MA 01890.